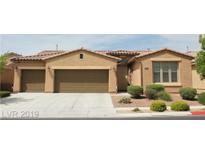 Below you can view all the homes for sale in the Grand Teton Valley subdivision located in North Las Vegas Nevada. Listings in Grand Teton Valley are updated daily from data we receive from the Las Vegas multiple listing service. To learn more about any of these homes or to receive custom notifications when a new property is listed for sale in Grand Teton Valley, give us a call at 702-323-5963. This home is a must see will not last long. MLS#2088698. Nevada Realty. 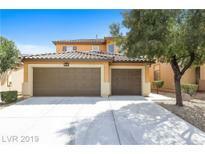 Community includes basketball court, playground & park MLS#2087538. GK Properties. The Best Part About This Home Though Is That It Sits Right Across From The Huge Community Park!! Wow! MLS#2086992. Crown Point Realty, LLC. Relaxing outdoor space, home painted in 2017, both A/C's replaced in 2016, existing home warranty until 2021! MLS#2080642. Keller Williams Realty Las Vegas. Casita full bedroom and full bath. MLS#2068877. Best Management Team LLC. Feature 3 car garage and huge backyard. Desert landscaping for low maintenance. MLS#2039408. Realty Executives of SNV.